Don’t have access to a wind tunnel or velodrome? No problem. You can test your own time trial position or gear/helmet changes using the following instructions. All you need is a calm day, an uninterrupted flat course, a power meter, and the following instructions. 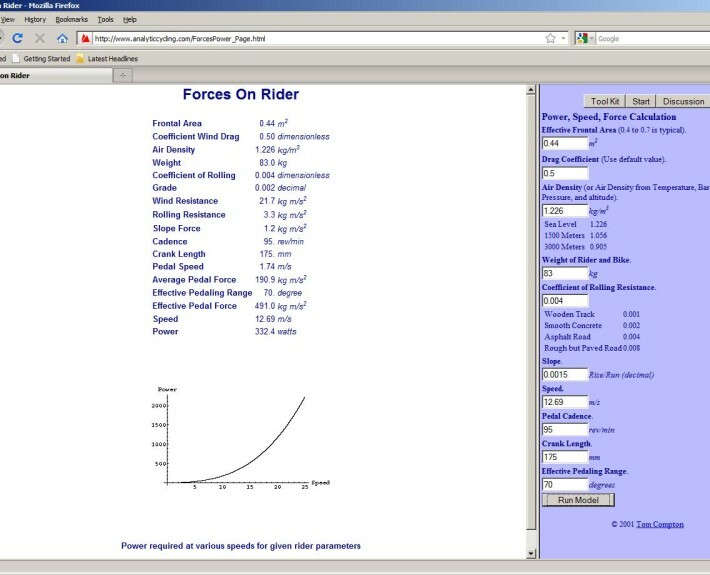 Using details in the screenshot image above, and the calculator provided by Analytic Cycling, you can estimate the power required to complete a time trial for any specific time. In the example screen shot, I used a 20k time trial at sea level on a calm day. An alternative method for estimating aerodynamic drag can be found by measuring anthropometric data. 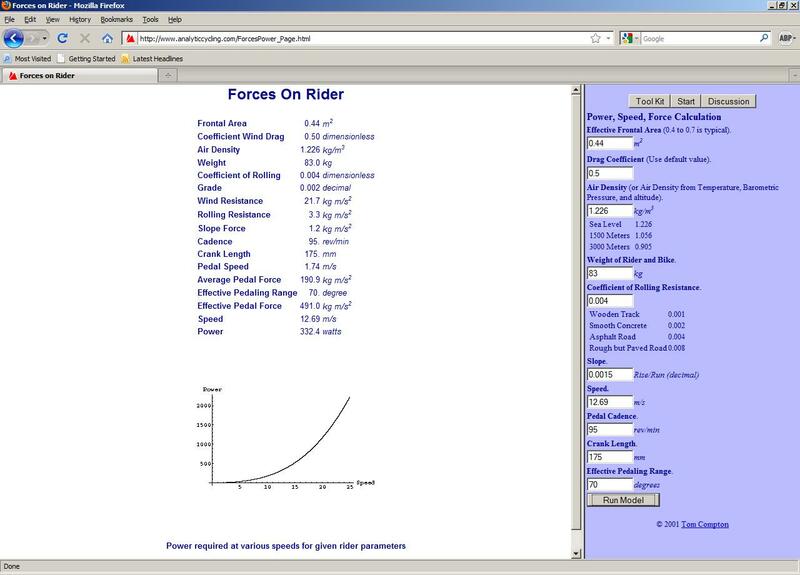 For this example, rolling resistance for the course is in the numbers in the screen shot. For purposes of the estimate, use the defaults in the image for pedal range, wind, drag, air pressure, Crr, and rise. Then plug in your crank length and average cadence. Also plug in the speed in meters per second, then change the frontal area up or down until the power matches the average from the race, with the caveat of the time lost to inertia at the start (add 5 seconds to the time). Once you know your CdA, you can calculate your Functional Threshold Power (FTP) as it relates to your aerodynamic drag (CdA) in terms of W/m^2. With this number you can then compare your aerodynamic drag/power ratio to other riders.